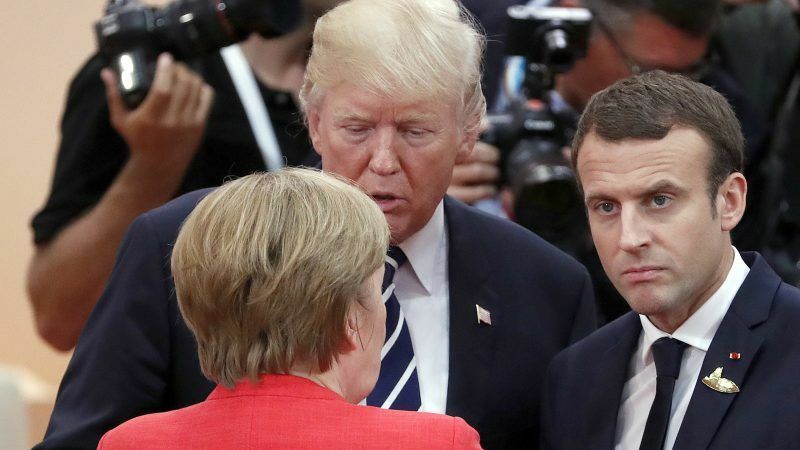 But after clinching a preliminary coalition agreement with the centre-left Social Democrats (SPD) on Friday, German officials said Merkel could travel to Davos after all, possibly setting up a major confrontation with Trump, who is expected to speak on the final day of the forum. It would also allow her and Macron, who is scheduled to speak at the forum on 24 January, two days before Trump, to reaffirm their commitment to reforming the European Union after Britain’s decision to leave, and to defend liberal democratic values in the face of Trump’s “America First” policies. Seven months after his election, Emmanuel Macron has established himself as a force on the world stage. 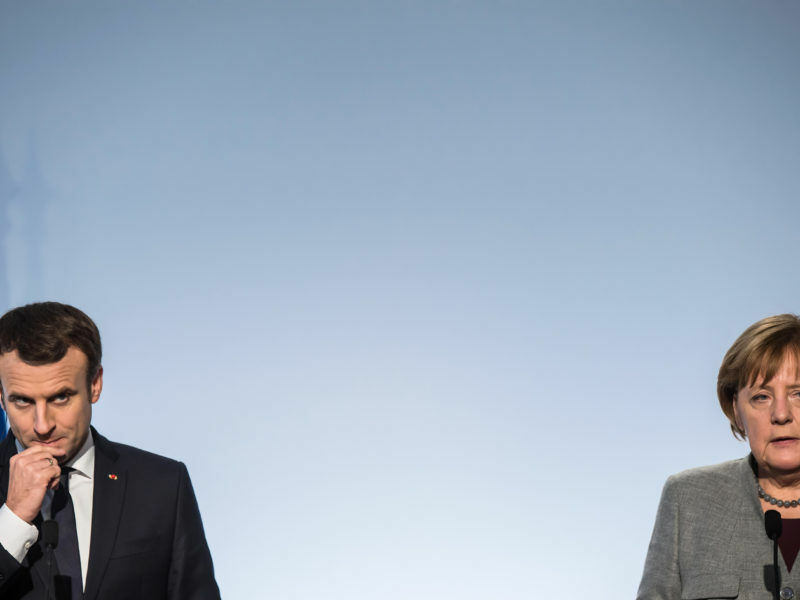 While some see in him the new “leader of Europe”, the Franco-German tandem remains remains crucial to implement his ideas. EURACTIV Germany’s media partner “Der Tagesspiegel” reports. Merkel’s spokesman Steffen Seibert was coy last week when asked whether she might attend the WEF, which will run from 23 to 26 January under the banner “Creating a Shared Future in a Fractured World” and will attract some 60 heads of state and government. But after clinching a preliminary deal with the SPD, the chances that she could attend appear to have risen. German officials said no final decision had been taken and that Merkel may wait for the outcome of an SPD congress in Bonn next Sunday – where the party will formally decide whether to enter coalition talks with her conservatives – before committing. Officials at the WEF said they believed Merkel was still considering whether to attend. If she does, it is unlikely that she or Macron would overlap with Trump, who is expected to arrive on the afternoon of 25 January. This year’s forum will be opened by Indian Prime Minister Narendra Modi on 23 January. Britain’s Theresa May, Canada’s Justin Trudeau and Israel’s Benjamin Netanyahu are also expected, as well as celebrities such as actress Cate Blanchett and musician Elton John. Last year’s gathering took place in the week leading up to Trump’s inauguration and was headlined by Chinese President Xi Jinping, who signalled his readiness to fill the vacuum in global leadership created by America’s shift inward. Since then, Trump has pulled the United States out of the Trans-Pacific Partnership, a free trade deal with Asian countries, announced a withdrawal from the Paris climate accord and threatened to torpedo an agreement between Western powers and Iran aimed at curbing its nuclear programme. The visit by Trump will be the first by a US president since Bill Clinton in 2000. He will be accompanied by a large delegation that is expected to include his son-in-law Jared Kushner, Treasury Secretary Steve Mnuchin and Secretary of State Rex Tillerson. CNBC confirms Pres. Trump will attend the World Economic Forum in Davos – an event once described by JPM CEO Jamie Dimon thusly: "Where billionaires tell millionaires what the middle class feels." Macron is slated to speak for 45 minutes in the evening of 24 January in Davos, a ski resort in eastern Switzerland.